The more-ish tagliatelle with shaved truffle at Artisan de la Truffe. 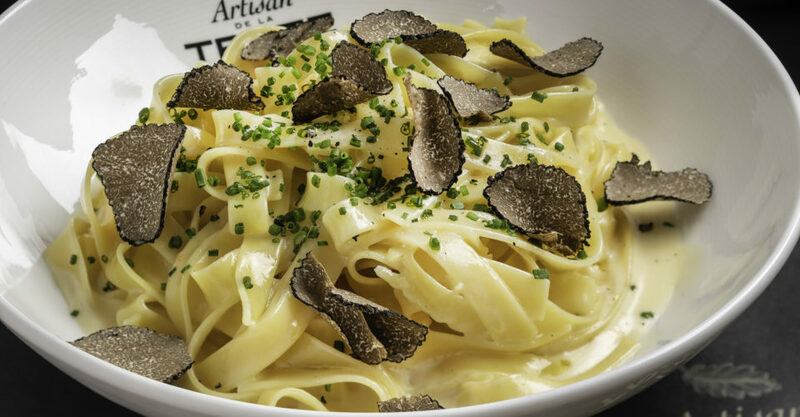 All Truffled Up: If you like truffle, this is definitely the place for you. If you don’t…well, give it a go, anyway. 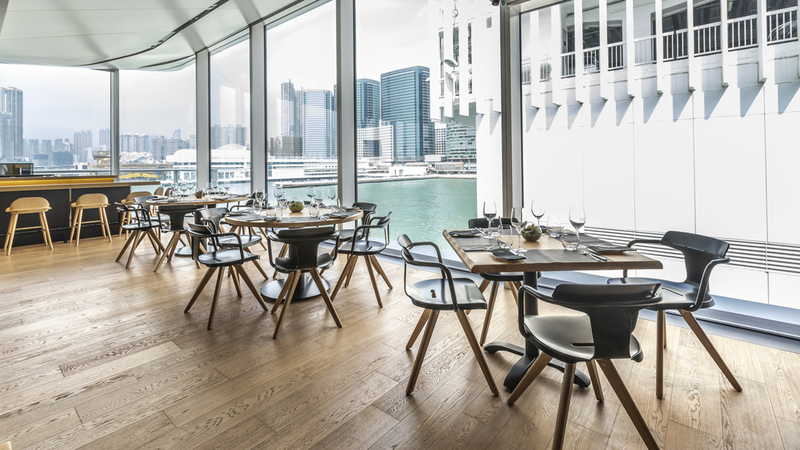 Truffle-forward French concept Artisan de la Truffe has brought its Parisian origins to a brand new eatery in the Tsim Sha Tsui’s Ocean Terminal Extension, and its entire raison d’être is the decadent truffle. Look & Feel: This chic space makes the most of what it’s got. Masterminded by Tokyo-based designer Tomoyuki Kunishige, the layout is cleverly designed, and there’s lots of light wood and open windows to maximise the feeling of space. Pick your choice of round tables by the window – perfect for groups of four – or leather-banquetted booths lining the walls. And make sure to check out the light fixtures – they’re designed to look like truffles. There’s also a cute little alfresco terrace that’s perfect for aperitifs. On the Menu: You’ll recognize the dishes on the menu as standard Western fare – think hunks of meat and pasta – but they won’t be anything like you imagine. Start with the salad de homard (lobster salad; $188) and tartare de boeuf (Australian tenderloin tartare; $168), both of which come generously doused with truffle shavings. Then, order a couple of mains to share, like the daube de joue de boeuf (braised beef cheeks with truffle red wine sauce; $238) and steak de boeuf Wagyu (Wagyu steak with truffle shavings; $308). Whatever you do, don’t miss the tagliatelle. The simple pasta dish is rich, creamy, heavily infused with truffle, and had me planning a return trip before I’d even left the restaurant. Finish with the well-balanced crème brûlée, served with truffle ice cream ($88). Meet the Chef: Local celebrity chef Ricky Kam-cheung Cheung and head chef Manful Lee Man Lung underwent training at the original Artisan location in Paris, and have combined their culinary skills for the Hong Kong location. Jeng: The food is excellent, and the truffle is not at all overpowering, which is an impressive feat, considering that it’s in literally everything. The space is cozy and the ambiance comfortable – what’s not to love? Not So Jeng: When the only thing you can find to quibble about is the location – navigating through Harbour City and Ocean Terminal can be tricky – you know you’re on to a winner. Great For: Indulging your love of truffle, naturally. But also date nights and dinners with friends. FYI: There’s a small retail operation at the front of the restaurant where you can buy truffle-infused everything. Truffle chips? No problem. Truffle pralines? Done. All kinds of truffled oils and vinegars? But of course!